A portrait of life in an isolated community in outback Queensland. Cunnamulla, 800 kilometres west of Brisbane, is the end of the railway line. In the months leading up to a scorching Christmas in the bush, there’s a lot more going on than the annual lizard race. Arthur patrols the sunbaked streets in his Flash Cab, the only taxi in town. He’s as terse as the company motto – “no cash, no Flash”. His wife Neredah knows everyone’s business and tells it all. “My father told me never to marry anyone from the end of the line – they just jump off here and you don’t know where they've come from,” she says. Marto, the local DJ, is into heavy metal and body piercing. He dreams of making it big with his band. His girlfriend Pauline sticks up for him, but her parents don’t approve. Jack, a pensioner who adopted Marto as a baby, wants him to get a steady job with the local council. Cara and Kellie-Anne have dropped out of school. They're trying not to get pregnant and longing for the day they can escape to the city. Paul is just 18 and about to go to jail for the first time. Herb, the scrap merchant who lives alone with his dogs and guinea fowls, wages endless battles with the ‘bloody government’. Now he’s at odds with Ringer, the town’s official dog-catcher and undertaker. 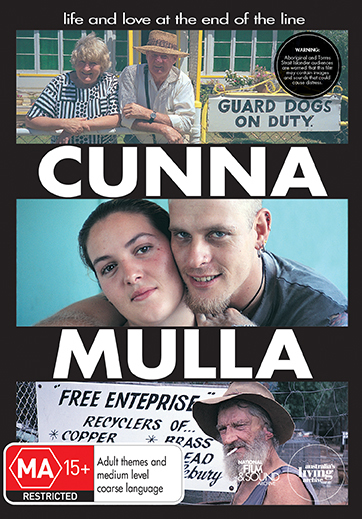 In Cunnamulla, Aboriginal and white Australians live together but apart. Creativity struggles against indifference, eccentricity against conformity. Daily dramas unfold. Famous country-and-western singer Slim Dusty is coming to town, a teenage concert pianist is touring with her pet cat, and Santa Claus is on his way. Sometimes sad, often hilarious, Cunnamulla is an astonishingly honest portrait of life in an isolated community in outback Queensland. 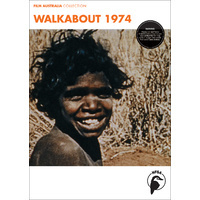 A Film Australia National Interest Program in association with Camerawork Ltd. 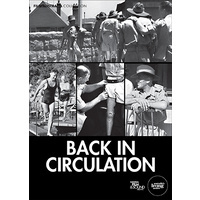 Produced with the assistance of the Australian Broadcasting Corporation. 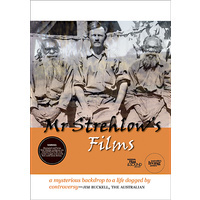 © 2011 National Film and Sound Archive of Australia and Camerawork Ltd. Classification: MA 15+. Consumer advice: Adult themes, medium-level coarse language. 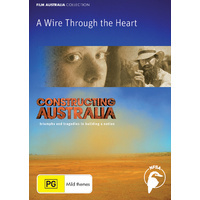 Curriculum Links: Indigenous Studies; Identity, Place and Culture; English K-10 Cultural perspectives - Insights into Aboriginal experiences in Australia; Intercultural experiences; Prejudice and Racism; HSIE (Aboriginal Studies Stage 6); SOSE; Child and Community studies; Human Welfare studies; NSW PDHPE Stage 5, Strand 1 'Self and Relationships'.